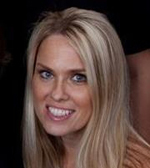 Christina Barkauskas, M.D. is a physician-scientist and stem cell biologist investigating the fundamental mechanisms involved in lung injury and repair. She is interested in determining the critical components of the alveolar epithelial stem cell niche and the cellular crosstalk signals that dictate cell identity and behavior during steady state maintenance and repair after injury and infection. She believes this work is fundamental to better understanding the biology of the human lung and the pathogenesis of idiopathic pulmonary fibrosis (IPF), a disease that is characterized by relentless scar accumulation in the lung with only minimally effective therapy short of lung transplant. Teresa Barnes is an advocate for lung disease patients, and in particular, Pulmonary Fibrosis patients, and lung research efforts. She has worked on and off Capitol Hill for 15 years advocating for increased research funding, improved resources for patients and families, and for exponential improvement in patient engagement and patient-centered research efforts. Barnes has been a leader in the non-profit sector for Pulmonary Fibrosis via more than 10 years with the Coalition for Pulmonary Fibrosis, patient engagement with the American Thoracic Society (ATS), and The Westie Foundation of America. She developed and led efforts for innovative collaborations in fibrosis across organs, fibrosis across species and fibrosis and cancer. Barnes was awarded the Visionary Award with the ATS and was named Emeritus with ATS’ Public Advisory Roundtable, a group she has been reactivated on for 2017. She received the Presidential award from ATS and was named a Fellow of the Drug Information Association. Barnes is a former TV and print journalist and medical device executive and holds a B.A. from the University of North Carolina at Chapel Hill School of Journalism. Bastiaan Driehuys, Ph.D. is a professor of radiology at Duke University. His research focuses on developing hyperpolarized noble gases – a new class of signal agents for MRI. He and his team develop the underlying technology of 129Xe hyperpolarization, as well as novel MR image acquisition, reconstruction and analysis strategies and apply them to problems in pulmonary medicine. He is focused on exploiting the unique properties of hyperpolarized 129Xe gas to image pulmonary ventilation and gas exchange in a single breath. Driehuys holds a B.A. in physics from Franklin & Marshall College (1990) and a Ph.D. in atomic physics from Princeton University (1995). Prior to Duke, he held senior R&D positions at Amersham Health (now GE Healthcare). 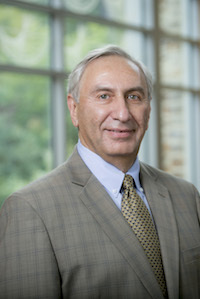 In addition to his academic responsibilities, he serves as chief scientific officer for Polarean Imaging, a company he founded to commercialize xenon MRI technology. 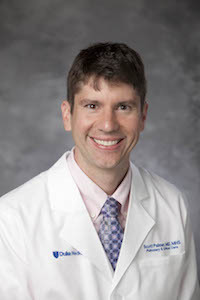 Scott Palmer, M.D. leads a successful program of clinical, basic, and translational research in lung transplantation, bronchiolitis obliterans syndrome (BOS), and idiopathic pulmonary fibrosis (IPF). He directs the pulmonary research program at DCRI and serves as Vice Chair for Research in the Department of Medicine. Palmer's scientific accomplishments include the first human studies to demonstrate the importance of innate immunity in transplant rejection, and completion of a multicenter prospective randomized double blind placebo controlled study that improved CMV prevention after lung transplantation. Palmer leads multicenter trials and registries coordinated through DCRI that study the natural history and investigate new treatments for IPF and lung transplant patients. Michael Rubinstein, Ph.D. received his Ph.D. in physics from Harvard University in 1983. After two years as a post-doc at AT&T Bell Laboratories, he joined Research Laboratories of Eastman Kodak Company where he worked for 10 years. Rubinstein is a John P. Barker Distinguished Professor at the University of North Carolina – Chapel Hill. He is currently serving as the Chair of the IUPAP Working Group on Soft Matter. On January 1, 2018, he will join the faculty of Duke University’s Department of Mechanical Engineering and Materials Science with joint appointments in the Departments of Biomedical Engineering, Chemistry and Physics. His research is focused in the field of polymer theory and computer simulations with the goal of understanding the properties of various polymeric systems and to design new systems with even more interesting and useful properties. Jamie L. Todd, M.D. 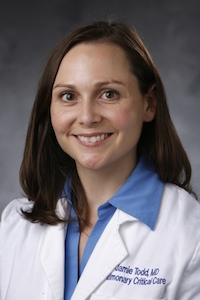 is an Assistant Professor of Medicine in the Division of Pulmonary, Allergy and Critical Care Medicine at Duke University with a secondary faculty appointment in the Duke Clinical Research Institute (DCRI). Todd has developed a depth of clinical expertise in lung transplantation and advanced lung disease management. 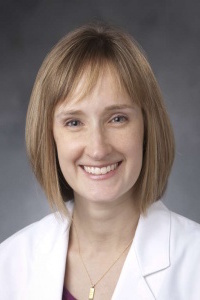 Concurrent with her clinical focus, Todd’s research emphasizes clinical and translational approaches to understand fibrotic lung disease development, in particular the development of chronic allograft dysfunction after lung transplantation. 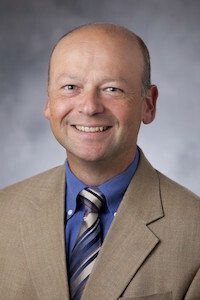 Todd’s ongoing research endeavors in lung transplantation include applying genetic approaches to understand susceptibility to lung allograft rejection, analyzing human lung fluid, tissue, and cell specimens to delineate novel pathobiologic mechanisms that contribute to graft rejection or fibrosis, and characterizing clinical phenotypes of chronic lung allograft dysfunction that strongly influence patient survival. Through her appointment at the DCRI, Todd has accumulated a breadth of hands-on experience in pulmonary clinical research including early phase clinical trial design, clinical events adjudication, and large-scale biomarker discovery research.